Quintrex Runabouts are popular entry-level boats for families because of their versatility. 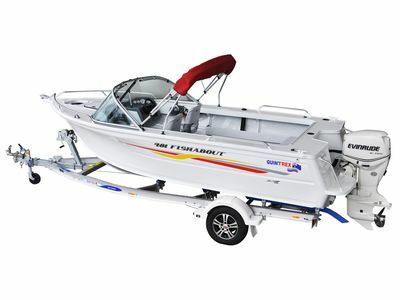 The Fishabout range offers forward steering and plenty of room for the whole family.It’s perfect for a day on the water for fishing, cruising, diving or watersports like waterskiing and wakeboarding. Our range of Runabout boats are built with a blade hull, which allows boats to cut through water like a blade, making for a smooth ride, lower planing speeds and improve top end speed. The 430 Fishabout is the perfect, smooth ride. Relaxing is made easy with the Fish Sports seats and a rear folding lounge and the Blade Hull makes for a flawless ride. 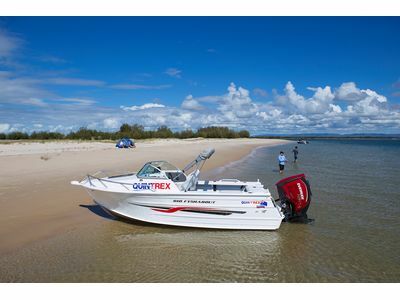 There is plenty of room for relaxing in a Quintrex Runabout. The versatile 481 Fishabout always performs with the Blade Hull providing a smooth and stable ride every time. Plus wity large, alloy side pockets there is plenty of storage aboard this runabout. 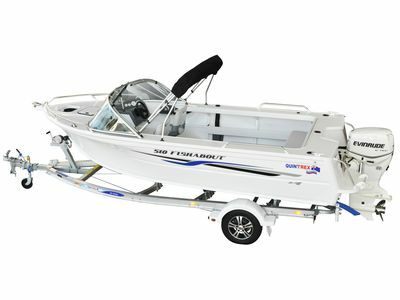 The 450 Fishabout is a great boating option for the first-time boat owners as this model is easy to handle and maintain. Complete with Fish Sports seats and rear lounge this boat is perfect for a bit of trolling. With rod holders, drink holders and a transom step and rail for easy access the 490 Fishabout has all the essentials for a fishing trip or a cruise around the harbour with plenty of room for five adults. The perfect companion for your next fishing trip, this runabout can carry five people and their fishing gear and delivers great fuel economy with a 95lt fuel tank and a maximum rating of 115hp. Get out on the water in almost all conditions in the 530 Fishabout. The lean through dash makes retrieving and setting the anchor a breeze while the windscreen and optional bimini and envelope can provide protection from the weather. This new model offers some serious grunt rated to a whopping 150hp. The Fishabouts can be optioned up to suit your needs from a large range of factory extras such as stereo and speakers, bimini, extra rod holders, ski hooks and much more. As the largest model in the range, the 610 Fishabout allows larger families to comfortably enjoy a day out on the water and give keen fishermen even more room for tackle and rods.